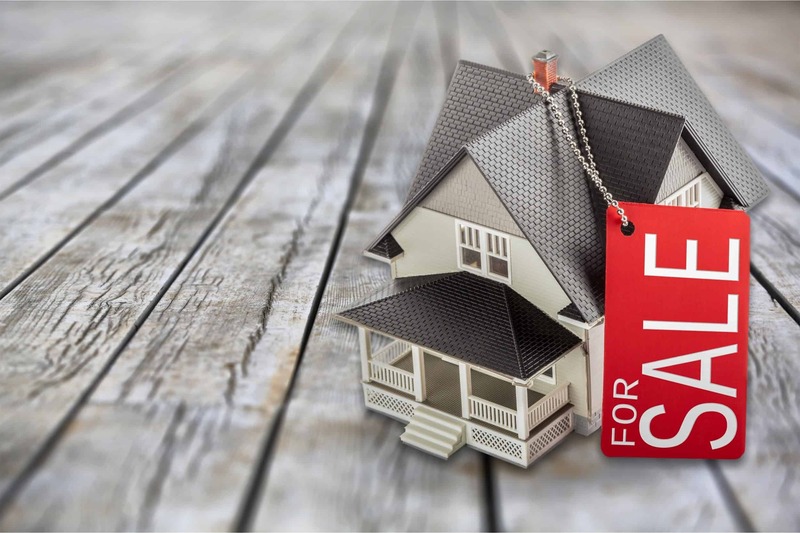 Home » Blog » Selling Advice » Why Won’t My House Sell? Selling your home can be a daunting and stressful process, particularly if you’re also looking for a new property to move into. It can be frustrating to feel like your house won’t sell, especially if you listed your property hoping for a quick sale. If you find yourself asking “why won’t my house sell” – don’t panic. This blog post looks at the potential reasons your house isn’t selling, how you can make your house more attractive to potential buyers and what your options are when you can’t sell your house. Your asking price is unrealistic: It’s crucial to make sure that you value your home correctly when putting it on the property market. Overvaluing your property will put prospective buyers off for two reasons: if the asking price doesn’t reflect the value of the home, buyers will look elsewhere and the longer your property stays on the market, the wearier prospective buyers will be. Your online listing photos are poor: Photographs play a significant role in attracting potential buyers, especially with more and more people searching for property online. If your online listing only features one or two bad-quality pictures of your home, buyers will assume your property isn’t worth viewing. You need a new estate agent: Even if your agent seemed competent and experienced when you hired him, not all estate agents are right for all properties. Your agent should constantly be in touch arranging viewings and providing feedback from potential buyers, as well as promoting your property properly. Good estate agents should have a strategic marketing plan in place for when properties struggle to sell, so if your agent’s gone quiet, it might be time to look elsewhere. It’s the wrong time to sell: The property market is notoriously volatile, so it’s important that you monitor your local market to make sure that you list your home at the right time. The ideal environment to sell in is a sellers’ market, which occurs when there are lots of willing buyers looking for a new home. In a buyers’ market, sellers have to competitively price their homes to avoid languishing on the market. Your property isn’t in a sellable condition: Factors like your property’s structural integrity, curb appeal and cleanliness will determine whether it is in a saleable condition. Most buyers are looking for a low-maintenance property, so if your home is in desperate need of some TLC, it’s likely that prospective buyers will be immediately put off. If you were hoping that your property would be bought almost immediately after it hit the market, anything more than a few days without any interest from prospective buyers may seem too long to wait. The average time it takes to sell a house is six months, but if you find your property languishing on the market for more than two months without activity, it might be time to make some changes. First impressions are incredibly important when it comes to generating interest in your property. Although most sellers focus on making the interior of their home attractive, the first thing prospective buyers will see is the exterior. You can increase the curb appeal by mowing the lawn, weeding the garden, pruning the vegetation, removing any visible rubbish bins and giving the drainpipes a fresh lick of paint. When potential buyers view a property, they want to be able to imagine what it will look like when they’re living there. If you have excessive belongings cluttering up every room or a gaudy interior design, buyers may be distracted and dismiss the property. Consider painting your walls with a neutral colour, replacing any decorative rugs or decorations with lightly-coloured furnishings and putting your personal items away ahead of viewings. As most prospective buyers want to move into a property that requires minimum maintenance and repairs, fixing any minor issues like cracked tiles or worn patches of carpet can make all the difference. It might be worth instructing a chartered surveyor to perform a property survey, so that you can take steps to rectify any major issues that will put buyers off or reduce the value of your home. My house won’t sell – what are my options? Postpone the sale: If you don’t have a deadline you need to sell by, it may be worth taking your home off the market and relisting it when conditions improve. In the spring, the odds of a property getting multiple viewings increases exponentially, making it the best time to sell. Rent it out: If you are selling your home because you need to relocate to a new area, renting it out might be the best option for you. Even if the rent you charge won’t cover your mortgage repayments, paying a small amount of negative cash flow every month is better than paying to keep a vacant house. Lower the asking price: Referred to as a “fire sale”, reducing the asking price to a rock-bottom value will make your property more attractive to any buyers looking for a bargain. Part-exchange scheme: A part-exchange scheme involves trading in your property as part payment for a new build house. The property developer will buy your existing home and then subtract this value from the cost of your new property. However, a part-exchange can be costly as you must move into one of the developer’s new builds, which are generally priced at the maximum the market will allow. Quick house sale: If you need to get rid of your property fast, consider selling to a quick house sale company like Good Move. Good Move are regulated property buyers who buy any house, regardless of its condition, for up to 85% of the market value. Sales can be completed in as little as ten days and there are no seller fees or property chains. If you’d like to sell your home quickly, contact our experienced team at Good Move today for a free cash offer.